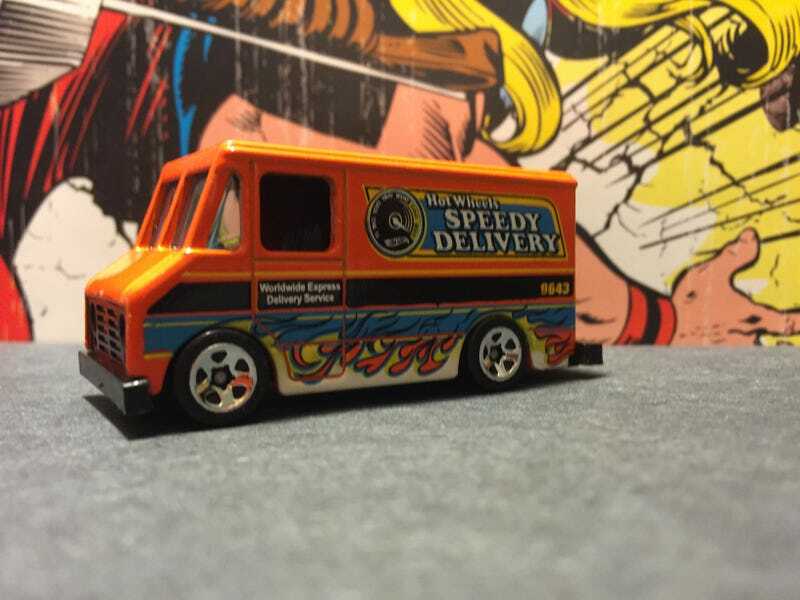 I love the art/graphics used on many of the delivery vehicles. I like the old boxy look of the Letter Getter/Combat Medic. This is my collecting focus, any time I see a pile of cars I’m scanning to see if any of these gems are hiding in there. I had several to choose from and decided to go with the bright orange ‘Speedy Delivery’. Love the flames along the bottom. Be warned this is a pic heavy post. I’ll start off with the crazy background. I like how it turned out but in a few of the images I feel the truck blends in to the background too much. Now for some neutral background shots so you can just enjoy the truck.